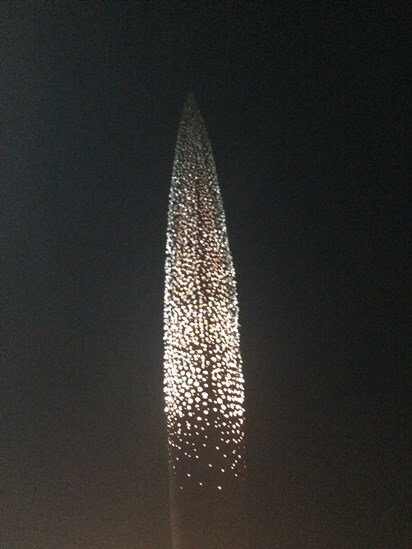 The 21 metre high “Golden” sculpture was officially switched on at a celebration on Friday 4th November which was attended by hundreds of local residents. Horticon were engaged to carry out the landscaping works at the former colliery site and our works involved the construction of footpaths, installation of street furniture and casting the base for the impressive piece of artwork called “Golden.” The sculpture was designed by award-winning artist Wolfgang Buttress and features 1,500 glass balls, each containing a short message or wish. The sculpture commemorates the Potteries heritage and the designers say the LEDs at night coupled with the sunlight reflecting prisms will create a permanent glow in a nod to the ironworks where the sculpture now sits. For further details of the opening event please click here.